Do you like to spend a lot of your time browsing the internet? How would you like to make a little extra cash on the side – doing just that – as a Search Engine Evaluator? Sounds complicated, but I can assure you that it’s not. But first you need to understand….what does a search engine evaluator do? A search engine evaluator is responsible for searching for specific terms online – to ensure that search engines are always updated. It’s a job that needs no formal qualification, besides a working desktop/laptop and a stable, high-speed internet connection. An added bonus, you get to work from your home online with ease. You can also choose the time you want to work, although most companies would need you to put in at least 20 hours per week. Now that I have your attention, here’s a look at 6 top companies that provide some of the best search engine evaluation jobs that enables work from home along with their selection criteria for this position. 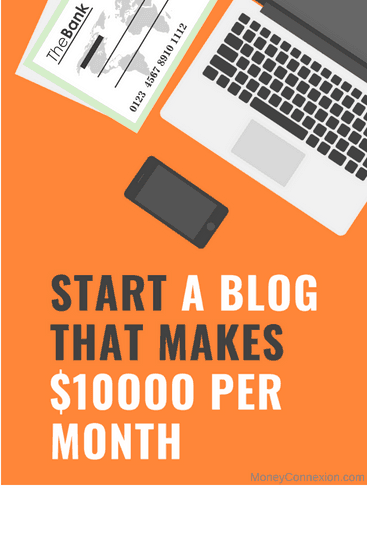 After doing a lot of research on search engine evaluator jobs, I have found 6 most legits jobs that can pay you excellent income. Google refers to search engine evaluators as – Ad Quality Raters. It’s one of the very few work-from-home available with the company, and hence openings are very few and far between. But if you do get lucky, you get to choose between an English-only and a more localized job. You will be expected to provide feedback on all image and text search results, using a specific online tool and rating guidelines provided to you. Google requires all its Ad Quality Raters to commit anywhere between 10-30 hours per week. You will also be asked to sign a Non-Disclosure Agreement. The payments are generally not publicized but are said to be between $14-15 (per hour) – paid on a weekly basis. To apply for this job, go to the Careers page on Google and search for Ads Quality Rater. Lionbridge Business Process Crowdsourcing is a division of the renowned $450-mn Lionbridge Technologies Inc., a significant player in crowd-enabled globalization solutions across 28 countries. People hired for this role are termed as personalized ads evaluators. The job involves analyzing and rating online advertisements found in search engine results. Interested candidates need to have a working computer/laptop with broadband internet access and an Android smartphone (4.1 or higher) to complete mobile tasks. A candidate also needs to be living in the US for the last three consecutive years. Other essential requirements include a High School Diploma (or GED certification) and some experience in the use of web browsers and Gmail services. The pay scale for this position is said to be between $14-15 per hour. Appen is an Australian company based out of New South Wales. The company was named as one of the Top 100 Companies Offering Flexible Jobs in 2014/2015/ 2016 & 2017, by FlexJobs. Its core interests are spread across search technology, social media engagement, language technology and crowdsourcing. It’s also known to provide some of the excellent web search evaluator jobs and social media evaluator jobs in the US. As a search engine evaluator, a social media evaluator rates the performance of search results within SM networks. Candidates applying for this position are expected to have extensive knowledge of all major social media platforms, excellent English writing skills and a basic understanding of using computers, performing searches and internet browsing. They also need access to a computer/laptop (with a sound card & speakers) and/or access to a smartphone (less than 3 years old), and a secure, high-speed internet connection. The company expects all its web search evaluators to work for at least 1-4 hours, 5-7 days a week. The selection process is quite intense and involves 3 tests – search engine test, English language test and a technical skills test. The application process itself may take anywhere from 1-3 weeks. The pay depends on where you live. US, UK and EU nationals are usually paid anywhere between $13-15 per hour. iSoftware was founded in China and is based out of Washington, US. It’s known for hiring search engine evaluators, website evaluators and online ad evaluators from the US. Open positions in this category are generally listed on job sites like Indeed or Craigslist. Candidates applying for the position of an online ad evaluator with iSoftstone need to be a native English speaker, familiar with Microsoft products like Bing. They also need to be permanent residents of the US, capable of working for at least 15 hours/per week. This position requires 10-25 hours per week with the option to work up to 40 hours per week based on job performance. Access to a personal computer with a Windows Operating system and a high-speed internet connection is mandatory. The job profile includes feeding specific search queries into search engines and then evaluating them based on the company’s rating system. The selection process includes passing a series of tests and may also include a request to share a link to your LinkedIn account. Starting pay is between $12-13 (per hour). Payments are usually credited once a month, via PayPal or direct deposit. Zero Chaos is a leading integrated workforce management solution provider that helps corporates and organizations globally – get the work done. This Florida-based company also hires ad quality raters to join on a work-from-home basis. However, only US citizens are considered for open positions in this category. Openings in this category are for web evaluation jobs and internet assessor jobs which are also listed on Craigslist & Indeed. The selection process is relatively simple and includes a two-part exam. Degree holders can expect to complete the formalities within a week. The company also free training to successful candidates. The working hours are flexible and range between 10-30 hours per week on a part-time basis. You will need to have your own computer and access to a high-speed internet connection. Payment is said to be in the range of $13-15 per hour. RaterLabs is a company specifically created by Leapforce, a well-known California-based company in the business of social media evaluations and internet analysis among other things. Candidates applying for the work-from-home Internet Assessor (Search Engine Evaluator) position need to be self-motivated and internet-savvy, with a strong familiarity with American media and online culture. A university (or equivalent degree) with excellent comprehension and written communication in English. Excellent web research & analytical abilities, with the ability to work under minimal supervision. Should possess a high-speed internet connection and use an Android phone (version 4.1 or higher) or iPhone (version 4s or higher). All candidates for this position are expected to clear a qualifying exam prior to being considered. He/she will be expected to participate in a number of different evaluation projects, including web search evaluation, video evaluation, maps and local automation projects. The company offers a maximum of one Search Engine Evaluator position per household. Successful candidates from the UK and EU countries are reportedly paid $14 per hour, while those based in Canada and the US can earn approx. $13.5/per hour, via a direct deposit into their account. 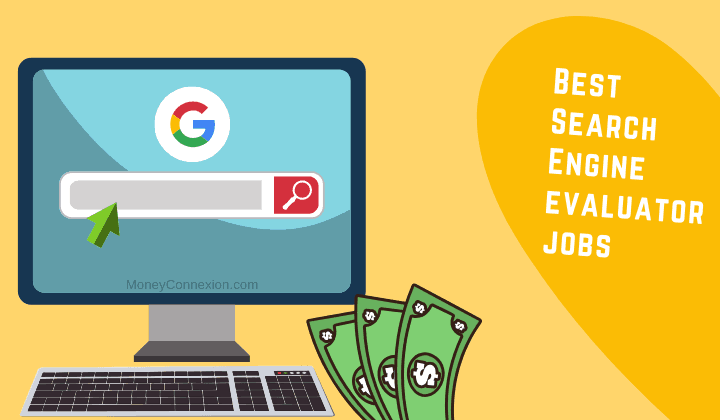 If you’re really interested in exploring some of these best search engine evaluator jobs, you can even opt for it on a full-time basis as it is a great way to earn some extra cash online working from home. You get to work as per your convenience, and the payment offered by most companies is also higher than the minimum wage in most countries. For those of you with the right skills and of course access to a computer and high-speed internet connection, becoming a part-time search engine evaluator may well signal the beginning of a fruitful career. very much informative for a beginners like me. Nice article because you give information about search engine evaluator. But till now I earned nothing. Or I uses scammers sites? Which one can suits me? As always you are awesome.i reallllly admire your helping mentality. Truly gem article for those who want to earn some extra income by working at home. The question is what will be the pay rate for Indian evaluators? Frequency of getting work? Is it advisable to leave current job? Hi I’m Sheila from Mauritius. I would like to a home base work that I can do from Mauritius. If possible a genuine site with no problem for payment. These jobs you have posted are only available within the USA and requires high-level qualification.